At a daylong event featuring face painting, balloons and a book giveaway, first responders handed out nearly 500 brand-new coats and jackets to families who need them in Alexandria. “We tell the kids if you look good, you feel good, and if you feel good, you’re going to go to school and you’re going to do good,” Fairfax County fire battalion chief Willie Bailey said. 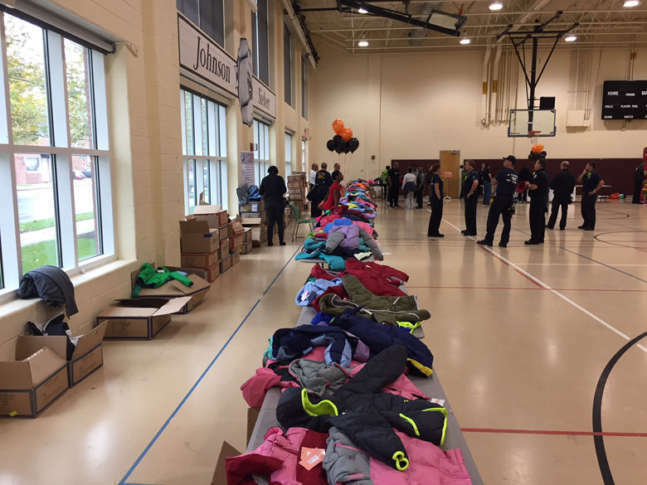 WASHINGTON — Nearly 500 brand-new jackets are being given away to needy families in Alexandria as part of Operation Warm and Firefighter Coats for Kids, an endeavor started more than a decade ago that has expanded to hundreds of other fire departments around the country. In recent days, thousands of other jackets have been given out to students at area schools. Johnson says having police officers and firefighters involved also sends another message. It’s also one less thing for parents to worry about as winter starts to loom. The kids who show up can get more than jackets, too. There’s face painting, balloon animals, a book giveaway, and even a Mickey Mouse dancing around the community center with the kids.